Dear Catholic World: Why do YOU Remain a Catholic? I don't choose to "remain" Catholic, as if I contemplated going somewhere else. I choose to be Catholic because being Catholic makes me happy. I am Catholic because of the intellectual foundation of its Truth, a Truth that dignifies, a Truth that leads to God's love and is God's love. When I contemplate that Truth, I feel beautiful and elevated. It's like looking at a wonderful poem, so intricate, so well-designed, and there's always another allusion, another layer, another truth on the horizon-- beautifully communicated and which leads to insight into my human condition and my relationship with God. This gaze at the Truth, this is beatitude. This is what's heaven going to be like, a constant embrace of the Truth, but in such a way that it will be more easily discerned and never end. This is why I am Catholic. You can't find anywhere else except in the Catholic Church. From the "Abortion is a Shady Business" file: Disgraced Ottawa abortionist resigns amid grisly misconduct findings. I loved this blurb. It always tickles me when LSN contacts the Opposing side. How do they get them to talk? If I supported abortion I'd tell them to screw right off, and that's putting it nicely. Canada’s first conference on men and abortion next week in Niagara Falls. Pope Francis on abortion: ‘Never, never does killing a person resolve a problem’ Pope is Catholic. Shocka. Yesterday I met Cardinal Burke at a mass at St. Theresa's parish. I got to meet the dear Cardinal. A really nice man. 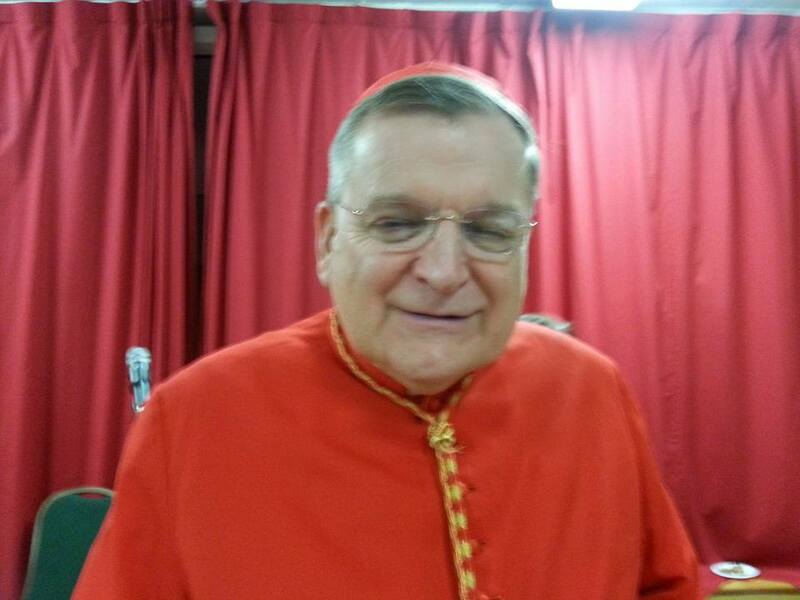 I will note that last night, Cardinal Burke wore a bejeweled mitre, but his vestments were the usual ones. Hardly flamboyant. Thanks for CIA for first blogging this story. I suspect we'll be hearing about Fr. Samson in the future. Here's a little interesting nugget: Democratic vs. Republican occupations Some of them surprise me. Why would urologists and plastic surgeons be Republican?